Lysanne has been working in the St-James art room since 2011. She graduated with a BFA from Concordia University in 2009 and in 2013 she completed a graduate degree focusing on drawing and relational art practices. She has been teaching and facilitating community art workshops for several organisations and institutions (Innovation Youth, Galerie Stewart Hall, EMSB) since 2009. 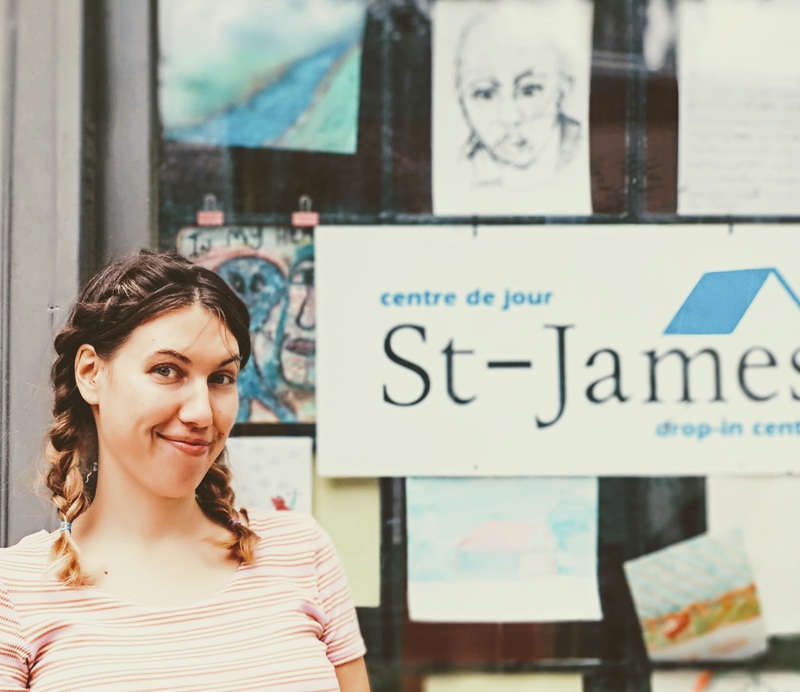 Lysanne is passionate about the relational aspects of making art and enjoys the stimulating environment and community experience of the St-James Drop-In Centre.